Preparing for a trip to Iceland requires taking many details into account. If we add in going with the smallest members of the household, we must consider a few more. 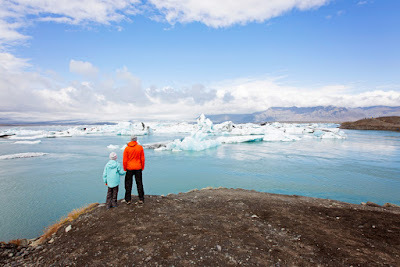 Traveling in Iceland with children means we have to do some extra planning Most people are aware that road rules may vary from country to country. But sometimes, we tend to forget that child safety requirements may also be different. This is the case of booster seats, safety seats, and other child restraint systems. 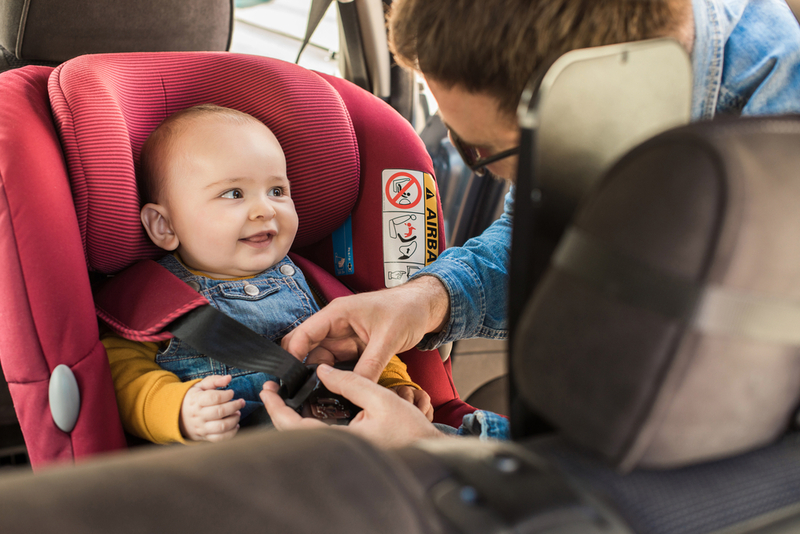 Let’s look at what the child safety seat and seatbelt requirements are in Iceland. Road trips in Iceland are the most popular form of tourism in the country. Visitors travel by rental car, motorhome or camper. Therefore, it is important to know what the law requires in terms of child safety seats. Those of you who are parents will already have it fairly down pat. You’ve no doubt been using a car seat since the day you brought your precious little one home from the hospital. If you travel with young children, you know that a safe and appropriate booster seat or child seat is required. When we talk about children, it’s more complex than the systems that adults use. We just have to fasten our seatbelts and that’s about it. But in the case of children, everything varies depending on their height, weight, and age. Child safety seats are divided into three large groups: universal, semi-universal and specific to certain car models. Many parents want to bring their tried and true seats to Iceland because they are accustomed to the way they are fastened or installed. This is completely understandable, but not all seats work with or fit all models of cars. For this reason, it is important to contact your rental agency and ask what type of system your car is compatible with. Personally, I think the easiest thing is to get a seat directly from the rental company. That way, we are assured compatibility. You also get the added benefit of avoiding the hustle and bustle that comes with carrying to a child’s car seat to the airport in addition to hauling your luggage. In Iceland, the standard system in use is ISOFIX. It is a car seat system that doesn’t require the use of a seatbelt. It is easy to install and usually warns if the seat is not properly installed. ISOFIX is the international standard, and in Europe, it is the system used by default. In Iceland, almost all cars manufactured from 2013 onward have it. In other countries like the United States, they have the same system but it's called called LATCH. In Canada, it’s called LUAS or Canfix. So, if you visit us from there, you know what we are talking about. You may also hear it referred to as the "Universal Child Safety Seat System" or UCSSS. This category is fine for both car seats and baby carriers. It is important that the seat is always facing backward. For children slightly larger than the previous group, we usually use some sort of chair. In Iceland, the child safety seat system usually has five anchor points. When the child reaches this group, you don’t need a child safety seat with internal support. It then becomes a kind of high chair with a tall back that uses the seat belt as a means of restraint. This type of chair is only recommended for children who have already reached a minimum height of 135cm (53 inches or just under four and a half feet). Car rental companies also usually have these available. 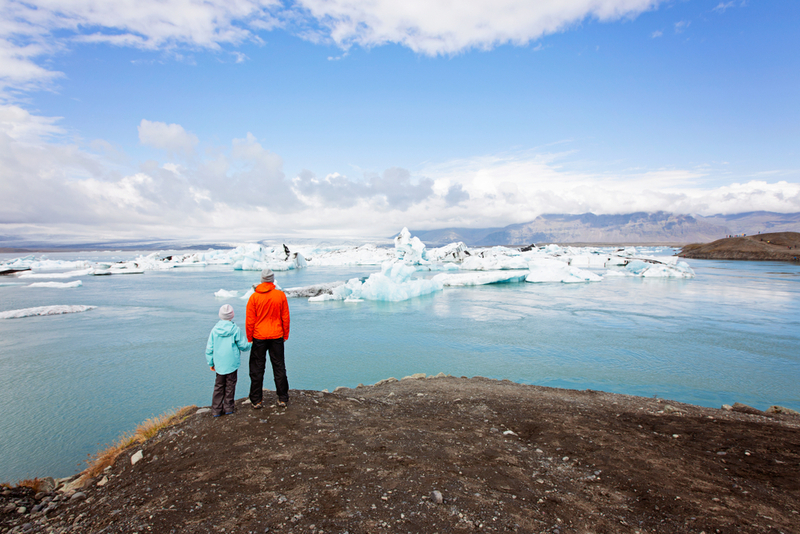 Car Travel in Iceland with Children - Where Should They Sit? Under Icelandic law, no child under 135 centimeters (4.5 feet) can go in the front seat if there is an activated airbag. It is recommended that they always travel in the back seat. Airbags are one of the most important safety features of a car. If they are not used correctly, there can be serious consequences for both adults and children. Many parents will notice that campers or motorhomes lack seats in the rear of the vehicle. In this case, you must choose another model which has the correct type of seats. After speaking with several rental companies, the general consensus is that they are not authorized to deactivate the front airbag. If you do this, the liability and the fine will fall entirely on the driver. And you know, nothing in Iceland is cheap. Fines are no exception. In this case, not only is the financial aspect important, but it’s also a safety issue for all travelers. Driving through Iceland is quite different compared to other countries. The weather is usually inclement, and road conditions vary constantly. Therefore, it is always advisable to follow the instructions given by those who know best regarding these issues. 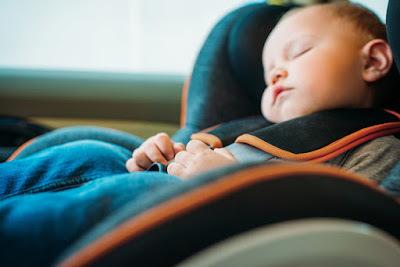 We hope this article has been useful to you to understand how child safety seats and airbags work in Iceland. If you have very specific questions about your situation or your child, it is always good to consult with your rental company. They can best advise you about what to do. I’d like to take this opportunity to remind you that we have a few articles of activities with children in Iceland to browse. So if you can mix safety with fun, even better, right? Have a happy and safe trip!